Both teams have grown their Twitter fanbases significantly in the past two years, with the Flames' following growing 26 per cent and the Jets' increasing by 38 per cent. 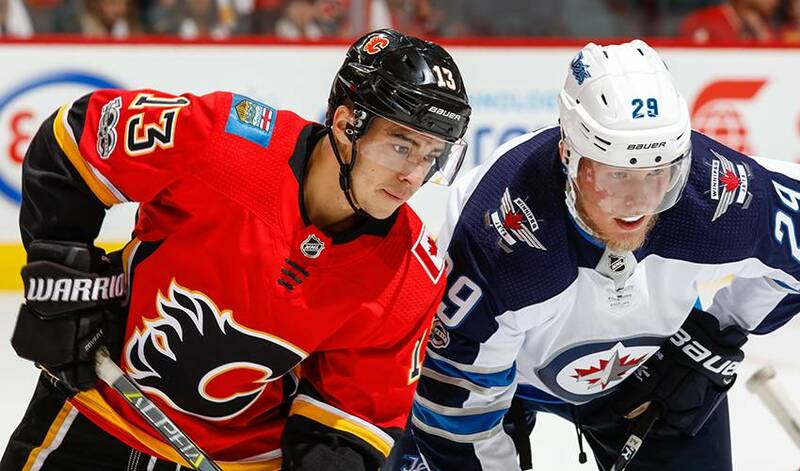 Christopher Doyle, Twitter Canada's director, partnerships, sees it as a natural result of Calgary and Winnipeg surging up the NHL's standings. "I feel like we've seen this movie before, with the Toronto Blue Jays when they had those incredible playoff runs in 2015 and 2016," said Doyle. "You see these huge spikes in fandom and in Twitter followers. "I feel like the Jets and the Flames are going through that same sort of wave right now where there's so much enthusiasm for the team." The Toronto Maple Leafs are the other Canadian team in the NHL's post-season. They begin their series against the Bruins in Boston on Thursday. "I've looked at this a few different ways, specifically with the Jets," said Doyle. "I have to say that they do a tremendous job on Twitter. They go live pretty much every game on Twitter, with a pre-game show, a post-game show. "I also believe it's a really digitally savvy market in Winnipeg. It's a perfect storm: on-ice performance is amazing, great young players, and an incredible Twitter handle that keeps fans engaged." "Star players like Laine, Edmonton's Connor McDavid, Toronto's Auston Matthews, they're a focal point of their teams, whether they're doing well or not, they're a talking point," said Doyle. "Even players who might not even be on the platform, like Sidney Crosby, he's going to get mentioned on Twitter."